I got a haircut yesterday. 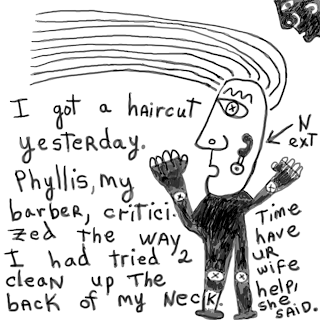 Phyllis, my barber, criticized the way I had tried 2 clean up the back of my neck. Next time have ur wife help, she said. Excellent idea! Linda could d a better job than your barber. H.